The seven days of Sukkot — celebrated by dwelling in the Sukkah , taking the Four Kinds , and rejoicing — are followed by Simchat Torah . Sukkot — when we expose ourselves to the elements in greenery-covered huts — commemorates G‑d sheltering our ancestors as they travelled from Egypt to the Promised Land. The Four Kinds express our unity and our belief in G‑d's omnipresence. Coming after the solemn High Holidays, it is a time of joy and happiness. 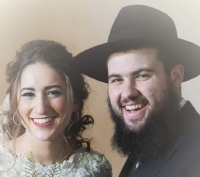 Order your Lulav & Etrog set today! One of the special Sukkot mitzvot is the mitzvah of the "Four Kinds" - the lulav, etrog, myrtle and willow. 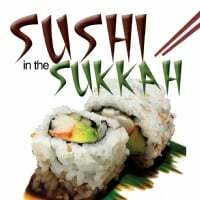 Join us for Sushi, Single Malt Whiskey and Soup with Soul in the Sukkah. No charge - all welcome.